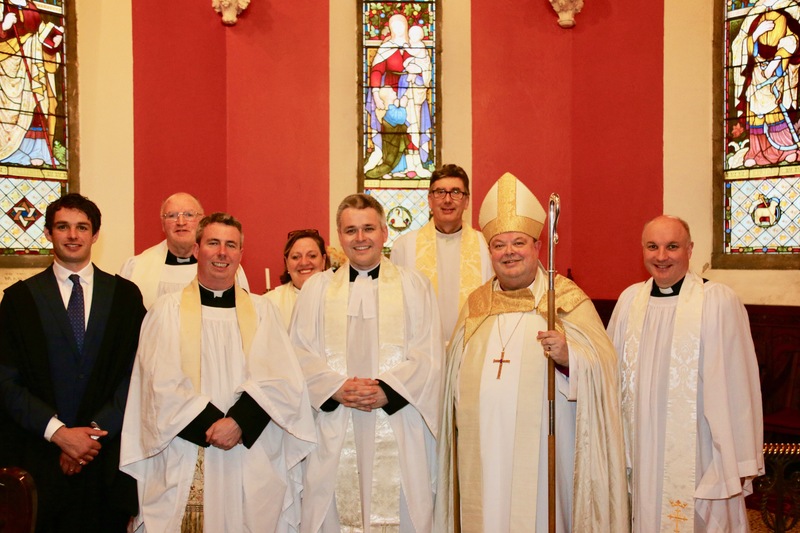 On Sunday afternoon, 11th March, in the presence of a large congregation of parishioners, visitors, clergy and readers from Cork, Cloyne and Ross, in Christ Church, Rushbrooke, Cobh, County Cork, the Reverend Paul Arbuthnot was instituted as incumbent of Cobh and Glanmire Union of Parishes. The Bishop, the Right Reverend Dr Paul Colton, presided. Among the invited guests were representatives of the Mayor of Cork County, the Naval Service, An Garda Síochána, the Cobh branch of O.N.E., and clergy from the local Roman Catholic Parish, including St Colman’s Cathedral, Cobh. The Rector of Dunfanaghy in the Diocese of Raphoe, the Reverend David McDonnell, was the preacher. This entry was posted in Appointments, Clergy and tagged Institution of an Incumbent. Bookmark the permalink.